What makes Live Chat so compelling to customers and why do more and more people prefer it over phone and email? And still, why do so many online consumers rate their typical live chat experience as poor? Let me share with you the top 3 pro arguments and top 3 worst attitudes to avoid. Look to these indicators to figure out how Live Chat can come in handy for your business, and what you should definitely bear in mind if you opt for this support solution. It’s quite natural that today’s consumers tend to spend more time online and expect information literally at their fingertips, they reluctantly break in their online experience to make a reach for a phone to dial a number, or switch to an email client, or get a pen to put something down. That’s especially true when they can see a Live Chat Online button following them as they browse a website. Why interrupt the journey if there’s obviously someone available to answer a question or handle a request? 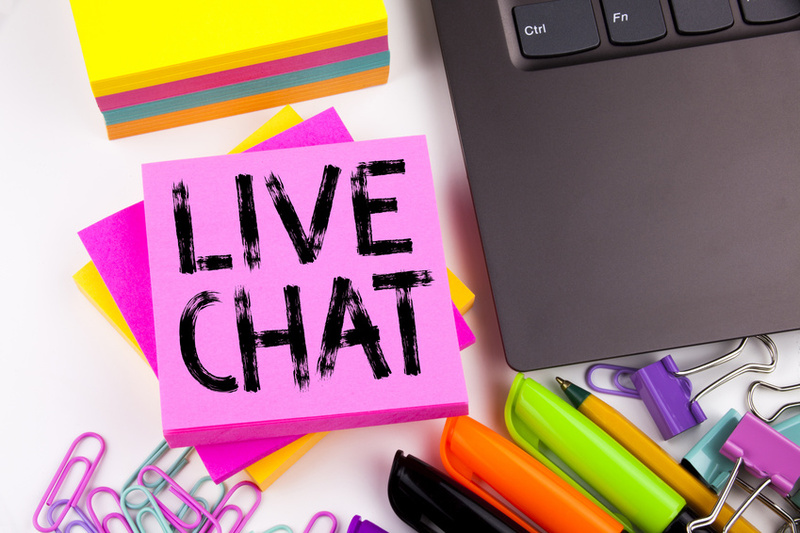 For those who want no distractions, Live Chat seems to be a perfect communication channel that keeps their online experience smooth and seamless. Customer expectations have been evolving rapidly, and one of the most essential features they expect today from their online experience is immediate service. If there’s a channel that provides an instant answer and quick solution, they willingly opt in to it in order to save time and skip waiting. The new online reality has raised the bar on customer service response time from hours to seconds, and this is the main reason why email and even Facebook Messenger are viewed by today’s customers as more time-consuming and less efficient channels. Modern consumers also expect that they do not have to explain much as they start a chat with a support agent online since the latter can easliy find out their browsing history and relevant product details through the website visitor monitoring tool that is usually part of the Live Chat software. And if they need to contact the Live Chat support more than once, they really anticipate that the customer service representative would be able to pick up the interaction about the same issue right where they last left off, with no need for the customer to go through the whole story again. Sadly, too many consumers describe their poor experience with Live Chat as trying to contact online support when there’s actually no one available to chat. That’s particularly striking when a pop-up invitation to chat keeps chasing the visitor around as they browse the website. Needless to say, nothing frustrates your website visitors more than the fact that your Live Chat support is left unattended while the information on the website states there shoud be someone on the other end to respond. Few small and mid-sized businesses can run their online support 24/7, but it’s absolutely crucial to set proper customer expectations, specify true-to-life operating hours on your website and always turn off the feature when your team is not available. Pretty much as with being put on hold during a phone call for an indefinite period, online consumers hate being left waiting and wondering how long it would take to get their request addressed. Long wait time is reported as one of the main reasons why customers decide not to come back, actually. A well-trained customer support agent can chat with 2-4 visitors at the same time with no compromise in quality, however, if more than that needs to be handled, it will inevitably cut down on average response time and overall customer satisfaction rate. Anyway, if your online support team has to handle more than 4 chat sessions per operator at peak times, we recommend to reconsider your staff’s work schedule and allocate more resources to handle chats. Your customer interaction, actually, doesn’t end the moment when both operator and visitor close the chat session. There are two things often overlooked since they take place after the chat conversation, nevertheless, we insist on taking them seriously. Don’t forget to ask for a feedback and be sure to provide an option for follow-up. Modern online consumers expect that their feedback really matters and appreciate an opportunity to rate the service provided. They also willingly leave their comments on service quality and suggest what can be improved. One more thing, providing the option to get chat transcripts via email also greatly contributes to increased customer satisfaction and better Live Chat experience. Hey i agree with your opinion, Everything has pros and cons of it and Live chat support services is beneficial to take business ahead and by using these services customers get satisfied with the response time of company but at the same time if any error occur like internet server is down then it will become con for this service. Thanks, Sally. Right you are, it’s important to make sure everything works smoothly, and Live Chat helps improve your business image and build stronger connections with clients. Otherwise it’s unlikely to generate any return and deliver appropriate customer experiences. Really nice article! Customer never wants to wait for the response. So it’s important to reply instantly as soon as possible. I am working on a project for a travel company where we are trying to improve the customer service and plan to surface the previous conversation history on the chat window . Would like to know your thoughts on do you think it would be beneficial for customers to have chat transcript sent to them on email when they can already access it on their chat window ? Very good blog you have written and it’s very useful and it has changed me a lot and I will share this blog to all my friends and know. Thanks for sharing this.